The monster girl card battler is coming to smartphones in Japan. 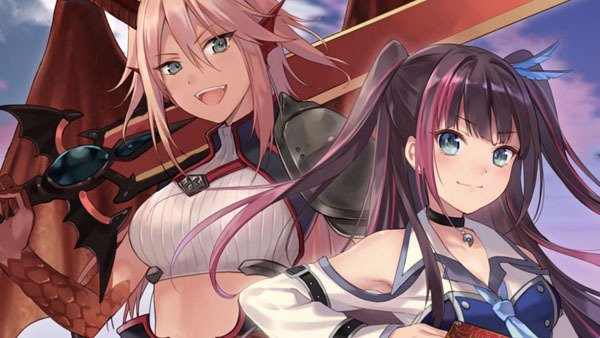 Compile Heart has announced a special follow-up to its extremely popular monster girl card battler Monster Monpiece, and it's got a pretty brave title: Monster Monpiece Naked. This time around rather than PS Vita, Monster Monpiece Naked will be releasing for both iOS and Android. It'll still have all the monster girls you can shake a stick at, but additional features that better adapt the game for mobile audiences. Synthesizing and leveling up cards will be a huge portion of play. Right now, the game is scheduled for a Japanese release this winter as a free-to-play title with microtransactions. As of yet there's been no word on a western release, but given the relative success of the game from the PS Vita release, anything is possible, I suppose. We'll have to wait and see!